Today's Mani Monday's theme is Valentine's Day. I have to admit, I don't really celebrate this holiday, but every now and then my husband surprises me with a little gift and I do enjoy all the love and romance that comes with this holiday. I love my little hearts, but the big one was a pain in my behind! I cut out a stencil and sponged a pink gradient over it. Oh boy... big disaster! The polish got underneath the stencil and just left a gradient blob on my nail. So I got out my white polish again and created the heart shape free hand by painting the white edges over the gradient... It still looks awfull, but at least you can tell it's a heart. 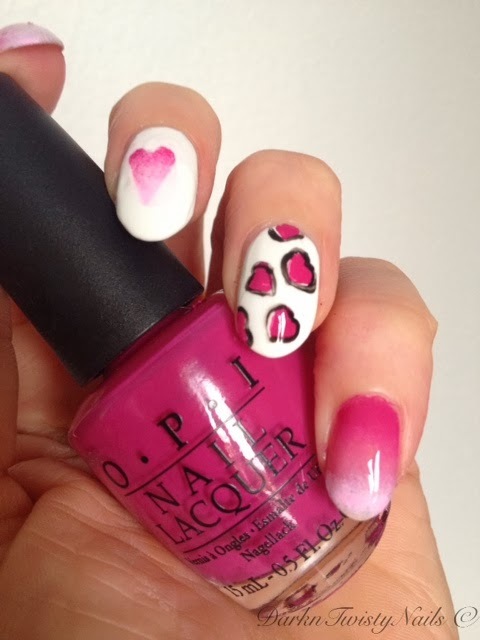 On the rest of my fingers, I deceided to do the gradient I used for the heart and I only did 1 coat, because I wanted it to look sheer and dainty. Next time I will try 2 coats, just to see how that turns out. 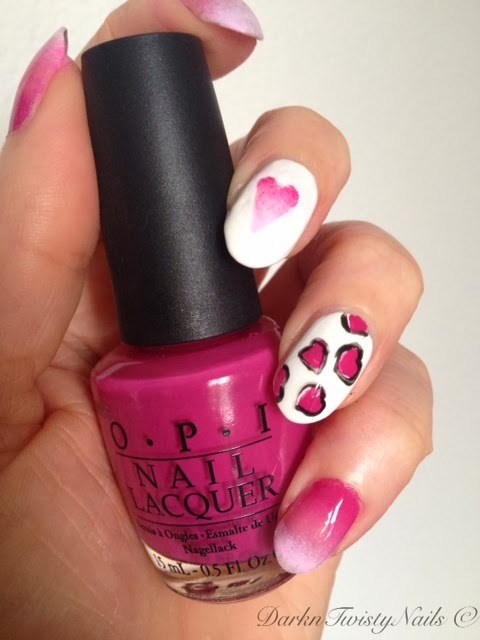 Do you celebrate Valentine's Day and what is your favorite mani for a romantic occasion? Love it!!! So cute, but so adorable <3. I love this! It's so creative! I love how the hearts on your ring finger look...honestly, you could design those nail sticker things!! I don't know about that... but thanks, I try to make these mani's as fun as possible!